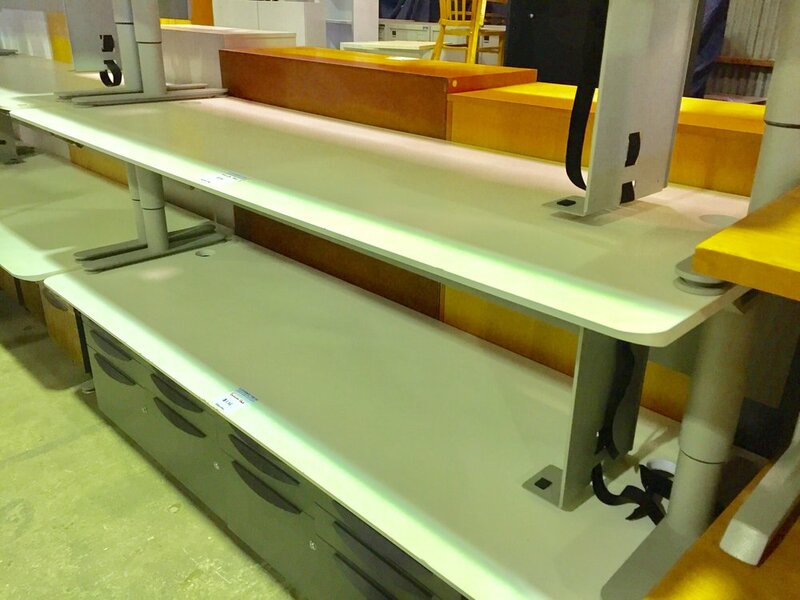 You can't get much better quality than Schiavello Adjustable Height Desks. 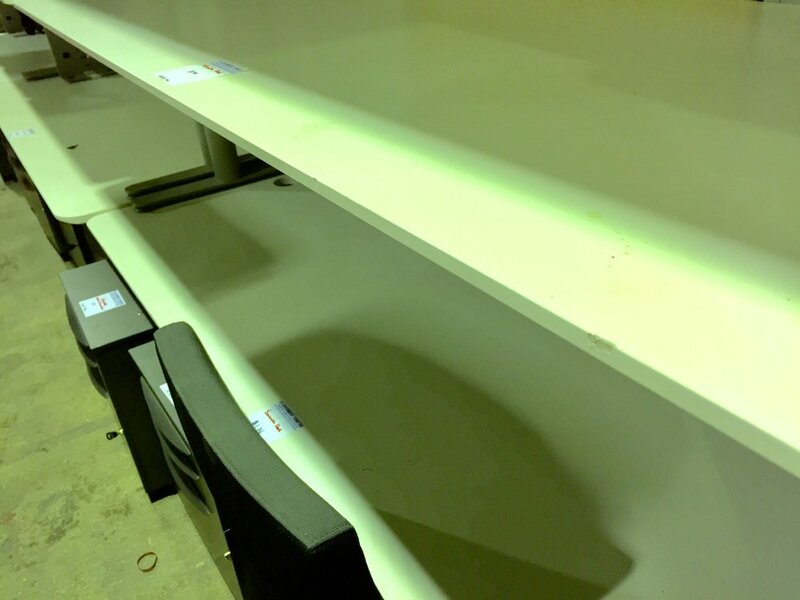 These particular desks are 2250mm x 800mm. Honestly, we have already sold the bulk of good ones! The remaining ones are functionally absolutely fine; but the tops are very scratched up so we're letting them go for a steal of $121 each. While these desks are height adjustable, they do't go all the way to standing height.